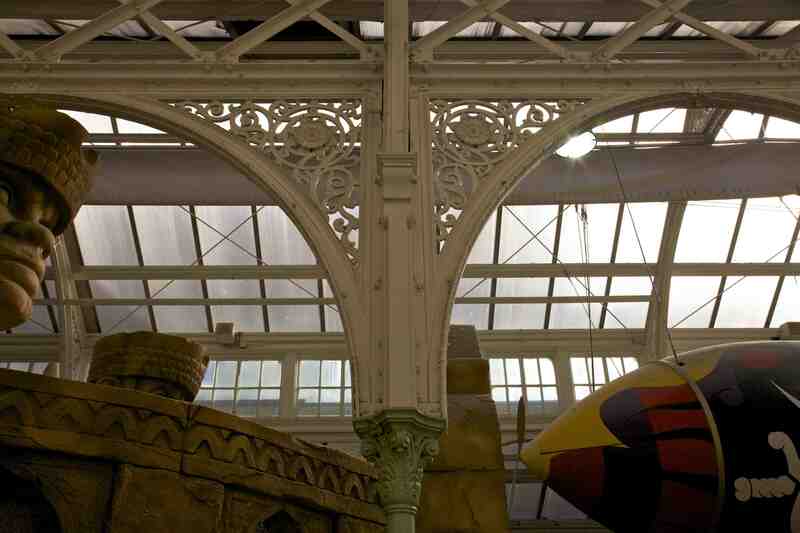 By the 1890s, Blackpool was one of the fastest-growing resorts in Britain, with its working-class reputation firmly established. More than any other of its buildings, the Blackpool Tower (1; 1891-94) came to embody the town’s sense of itself as pre-eminently modern. The 500-ft high tower, constructed from a mixture of cast and wrought iron, was inspired by Gustave Eiffel’s tower built in Paris in 1889 and, like its Parisian model, the iron construction of the Tower was essentially structural and utilitarian, the only decorative part being the Tower’s crown (2), a vestige of orientalism that, up close, reveals itself to be a series of unornamented iron beams crudely bolted together. For the Tower’s first visitors, the panoramic view from the platform at the base of the crown, reached by an electric lift, was ‘simply indescribable’ where, on the ground, ‘people look[ed] like fleas’ (3). 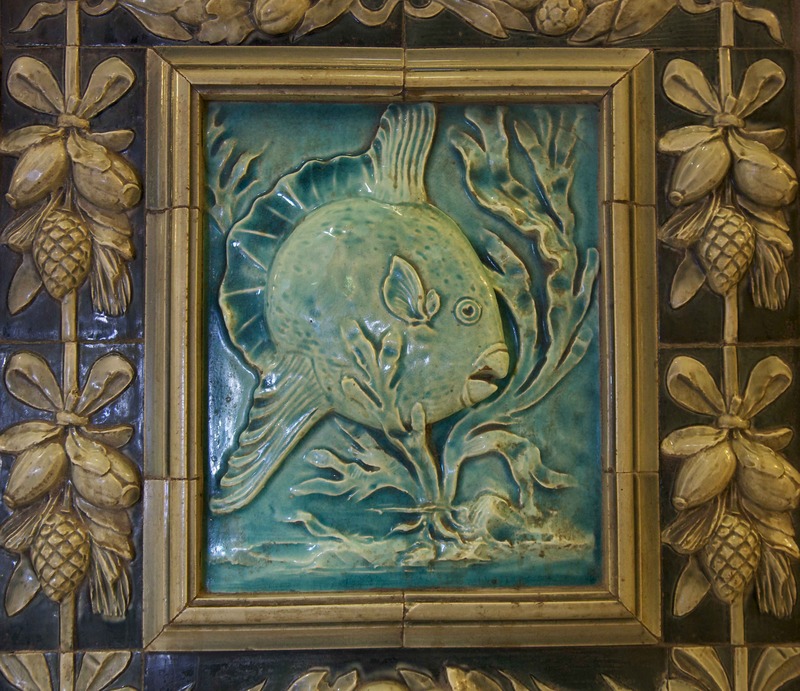 The lift was one of many other entertainments that were housed between the Tower’s four iron legs, including a circus, ballroom (4), terraced gardens, and promenades, all of which were characterised by exotic decoration in iron (5), terracotta and opulent low-relief tiles (6). 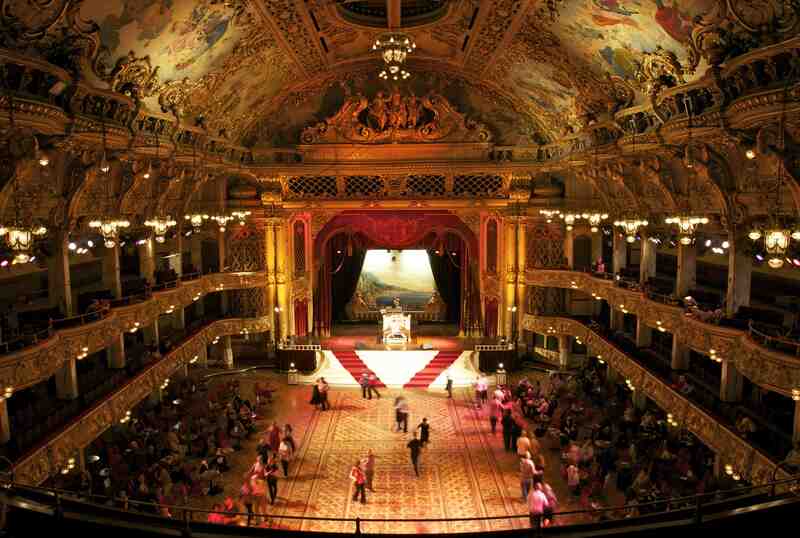 The Blackpool Herald focused on the other-worldly ‘atmospheric transformation scene’ that formed part of each circus performance, when a unique flooding mechanism allowed the vast floor of the circus to be filled with water in a matter of minutes, transforming it into an arena for swimming and aquatic displays. Here, then, was a ‘fairy-like’ image of nature controlled by technology, the ‘interface between land and sea … mastered and controlled before the very eyes of the visitor’. 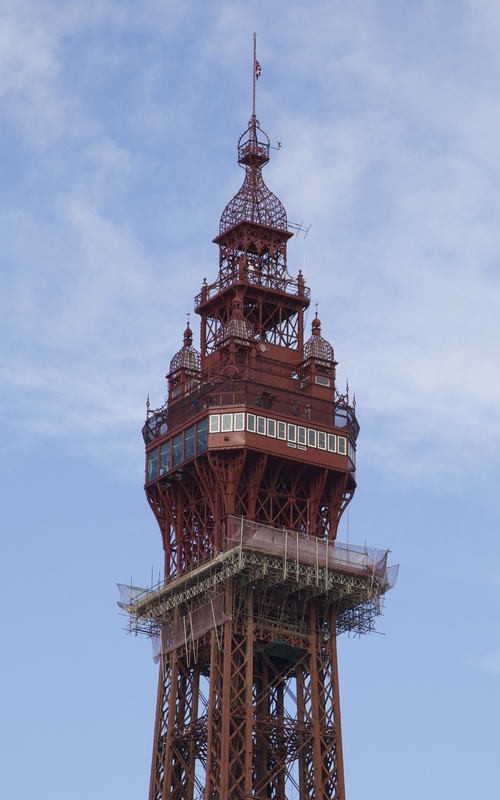 More than any other seaside building – perhaps even any other building in Britain – the Blackpool Tower has come to symbolise both the town and British seaside experience as a whole. 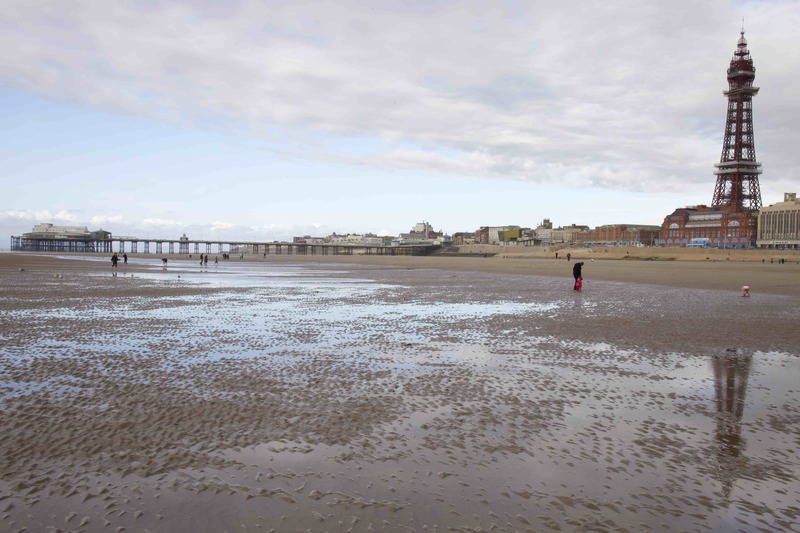 As John Urry has argued, Blackpool’s tower, just like its model in Paris, is no normal spectacle because of the original view it offers of urban space, that is, by turning it into a ‘natural’ landscape. The tower, in a similar way to piers, enables people to see the world as a whole and ‘to celebrate the participation within, and the victory of, human agency over nature’. Going even further, seaside historians have argued that the Blackpool Tower is variously a democratic space, freely available to all; a site of the carnivalesque, that is a complete release from – and reversal of – the norms and conventions of everyday working life; or a utopian symbol of hope for all those who visited Blackpool. Central to all of these interpretations is the view of the tower from afar (7). 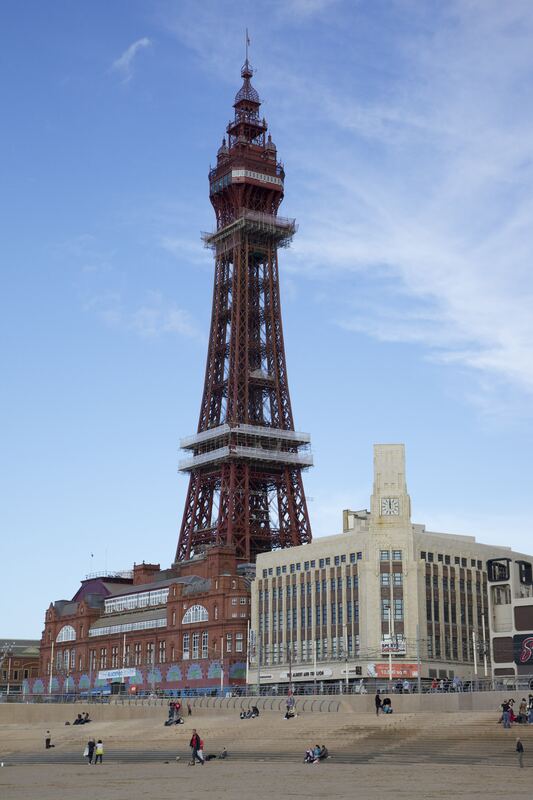 As documented by the Mass-Observation research group in the 1930s, working-class visitors often described the effect of their first view of the tower from the train journey to Blackpool. It created great excitement, confirmed that you were on holiday and was a sign of the ‘other world’ of pleasure about to be entered where the ‘cotton and factory chimney are finished with’. Just like the Eiffel Tower, the distant view of Blackpool’s tower was what transformed an essentially utilitarian structure into a ornament of the town, the oriental iron crown being the most potent symbol of entering another world, one that reversed the normal associations of the factory chimneys of visitors’ home towns. The fact that the tower is still popular to this day is testament to its enduring symbolic potency, despite the terminal decline of the disciplines of industrial production that fed the desire for release. Yet, the tower’s pleasures – virtually unchanged since it was opened in 1894 – are still defiantly working-class, celebrating a collective experience that is both nostalgic for one generation and exciting and spectacular for another. Like much of what remains of Victorian seaside iron architecture, the tower experience is anathema to middle-class values, with its herded crowds, chaotic business, contrived entertainments and unashamed nostalgia. For this middle-class author, learning to see meaning in the iron tower (and in seaside ironwork in general) was one way in which this resistance can be challenged. Where I live, on the western horizon of the continent across the pond, we have nothing like it. Our history from that time has left few grand fragments, certainly none of that size or scope. Though the entertainments may seem contrived to the modern eye, the detail appears lush and inviting still. You are making me want to visit. Thanks for this. In fact, when the Tower was built in Blackpool it was compared to developments in American resorts like Atlantic City (obviously not the west coast which was still almost undeveloped at this time). 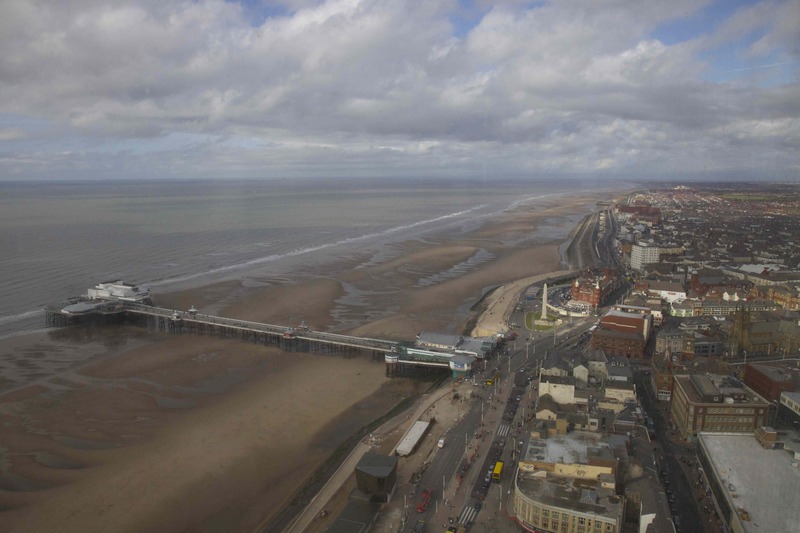 Today, Blackpool Tower and the town in general is perceived as a pretty melancholy place and, at night, a pretty horrible place (with out-of-control drinking and endless hen and stag nights). Yet, I think it still has this unique status as the first ever working-class holiday resort & it’s still very much like that today, even if its visitor numbers have declined pretty dramatically. Hi There, Loved your site. I am a Northern based artist and have just been asked to paint a Scooter in front of Blackpool tower to advertise a charity one night showing of Quadrophenia at the Palace theatre in Manchester. I am looking for pics of Blackpool tower as it would have looked in the 1960s, and wondered if you may be able to help me produce this iconic painting. My name is Tina, and you can reach me on 01565 873957.